Every day I am usually on campus attending classes. When I’m not in the classroom, I tend to do a lot of homework, go to the Rec Center/EMU, or sometimes meet with other co-directors, hold office hours in the ROAR Center, or attend various meetings. I try to maintain a good home life as well, so when I come home I typically clean or help one of my roommates make dinner. We tend to share a lot of the responsibilities like cooking, so sometimes it’ll be my duty to do a certain chore and sometimes it’s someone else’s, which works out great! How did you get involved in social justice work? It’s a bit of a long story. While I struggle a lot with my religious beliefs now, I grew up Catholic, specifically in a community that emphasized liberation theology; while the words “social justice” weren’t ever explicitly used in my childhood, a lot of what I learned had to do with a preferential treatment for the poor, uplifting the marginalized, etc. In high school, the bulk of my religious education was about this liberation theology, and this coincided with a lot of the national reckoning happening with emerging movements like Black Lives Matter. So, while I studied people like Karl Marx and James Baldwin in class, there was a lot of exposure to real-world issues of poverty and racial injustice, which allowed friends and I to participate in local organizing and protests. What is a really meaningful experience since becoming involved in social justice? In high school, a lot of my focus was on disability and neurodivergence, as I had a personal experience where I was confronted with the realities of incarceration and its intersection with serious mental illnesses. This shaped my perceptions of social movements and the issues I felt were (and still are) overlooked, which allowed me to understand intersectionality and how systems work for different identities. Having that aforementioned experience gave me an appreciation for movements like Black Lives Matter and Standing Rock, as it’s a lot easier now to see why something like unclean drinking water relates to everything from racial injustice to disability. Even though I’ve moved on from that mentioned experience, it certainly still sticks with me and continues to influence how I understand intersectionality and apply it to the work I do with SLAP; I don’t think this is a lens I would have if I had not experienced it! What do you recommend others do if they want to get involved in the same issues that you work within SLAP? Don’t be intimidated. I think what turns off a lot of people to activism and connecting with activists is that they feel like they don’t have adequate knowledge of an issue, are intimidated by the vocabulary/intensity of conversations, or are just afraid of slipping up and saying the wrong thing. However, it’s so important to remember that no one came into this world understanding how systems of oppression function; we all started somewhere, and if you really want to work towards change, others are always willing to work with you. Messing up, maybe saying the wrong thing is all part of growing. One needs to understand that it doesn’t necessarily make them a bad activist, and their discomfort shouldn’t hold them back from making a change in their community. Where do you think the root of the issue is? It’s incredibly hard to simplify. However, I think a lot of campus issues lie in our existence in a system that prioritizes production and wealth accumulation; this makes our university focused on saving money and investing it in areas like athletics, new buildings, and programs that will bring in donors instead of making education more accessible to Oregonians. 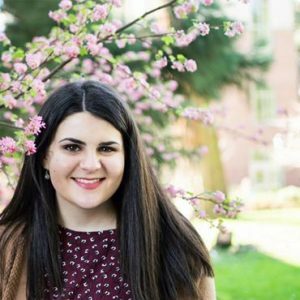 A college campus is supposed to be a place of learning, growth, and improvement, however, UO certainly seems to be moving more towards becoming a business than anything else, making groups like student workers disposable as administrators seek to cut costs and put money where more will come in. There can never be justice in a system that prioritizes profits, as it will always justify pricing students out, cutting meals for workers, and silencing student protests. Being involved in social justice can be very draining for anyone. How do you take care of yourself while being involved in this work? Self-care is something that I definitely value and preach, but I struggle with fully incorporating it into my own life. However, I am lucky to have a lot of great, supportive friends who are always willing to not only get together and do fun activities, but check in with each other often. I think that’s an often overlooked part of self-care; it’s not always facemasks and painting nails, but can be stepping back, checking in, and checking out of stressful situations. Even though self-care is something I’m working on, I definitely think I have a good foundation with the people in my life, and that’s the most important thing! How can people get involved in the work that you do with SLAP? Come to our meetings! This term, they are Wednesdays at 6 PM in the ROAR Center (EMU Suite 006). 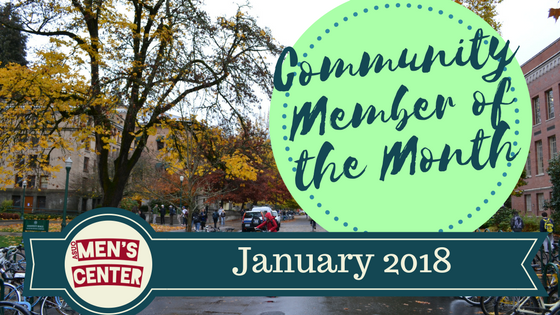 We also regularly host movie nights and other fun events, so be sure to follow us on Facebook (University of Oregon Student Labor Action Project) to find out what’s going on! Also, you can always reach out to me or anyone else that is a part of SLAP/works in the ROAR Center; we are always looking for all sorts of different people willing to work towards making our campus and community a more equitable, safe place.